Last fall I heard about a to-do app, OneThingToday, with a simple premise: get just one thing accomplished each day. Simple, straightforward — and something I thought any worthwhile text file junkie could do on his or her own. OneThingToday’s developer, Mike Sykes, looked through his referral logs and found my post from last year. He dropped me a note to say he appreciated the mention, even if I showed how to do the whole thing yourself. He’s absolutely right, of course, especially if you work under David Allen’s GTD system. The calendar, so it goes, is sacred — and reserved for time-sensitive appointments or obligations. Sykes system takes your to-dos off the calendar and into a seamless system where the goal is modest (but appropriate): just do something today. Sykes was nice enough to offer a few promo codes for people to try out OneThingToday, both for OS X and iOS, for free. To get one of these promo codes, simply drop me an e-mail at newtonpoetry [at] gmail.com with the subject line, “OneThingToday Giveaway,” and tell me if you want the OS X or iOS version of OneThingToday. And while you’re at it, tell me a bit about yourself: how long you’ve been reading, if you still use your Newton, what else you’re interested in, etc. I’ll give a few promo codes out to the first couple of e-mails. Thanks again to Mike Sykes for the chance to try out his software. He has a few other titles you can try out, too, at his Line Thirteen site. Posted by davelawrence8 at 5:52 am on December 7th, 2011. No comments... » Categories: software. Tags: ios, line thirteen, mac, onethingtoday, OS X, software. Subscribe via RSS. If you’re a non-techie person (define that however you like), systems like app stores allow you to try out software that, without the store, you might not have known about. In other words, the applications that aren’t allowed on the Mac App Store don’t appeal to people who only find apps on the App Store. If you don’t know about Onyx, or have any idea what it does, would it appeal to you even if it was in the App Store? That’s why I think some of the pro-style apps, and their developers, will be fine making a living in a world where the Mac App Store exists. Those developers’ products cater to a different audience. So maybe those apps that rely on root access in OS X, like backup applications, cater to those of us who know how important it is to backup and make sure to do it on a regular occasion. For everyone else, there’s Time Machine. And as long as Apple allows Mac users to use applications outside of the App Store, the platform will still appeal to UNIX geeks and users like me, who use and appreciate more of the pro-level apps. Also, what do you do about software developers who still sell their applications in boxes in a retail environment? These titles, on physical media like CDs and DVDs, are obviously outside the reach of the App Store. So the App Store can’t be the only place to try and use Mac software. Otherwise, you’re excluding all these retail titles. Personally, I like have my applications in some sort of physical form. It made me feel better, for instance, to purchase Bento at the Apple Store, bring home the DVD, pop it into my iMac, and install it. I could have purchased the application online and downloaded it that way, but there’s something reassuring about having a backup copy – you know, just in case. 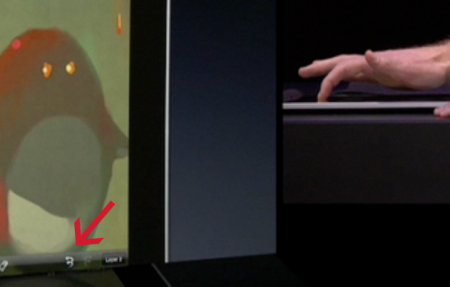 Which is why I’m conflicted about an application like Apple’s pro photo editor, Aperture. Purchase it at an Apple retail store and you pay almost $200, but you get a nice box and DVD. Purchase it on the Mac App Store and get it for better than half the price ($80), but it’s a download-only install. It’s hard to argue with the dramatically discounted price on the App Store, unless you’re like me and you value holding the app in hand. The benefits of having it as part of the App Store, however, are obvious: automatic updates, lower price, no physical media to lose or damage. And the good news is that Apple still allows free 30-day trials of Aperture 3 – something the Mac App Store doesn’t allow for its titles. For Apple, having a title like Aperture available on the Mac App Store helps it become more discoverable. As I write this, Aperture is in several of the “top” lists on the App Store, which means Macs users can find it on the App Store homepage, which means more users are more likely to buy it. 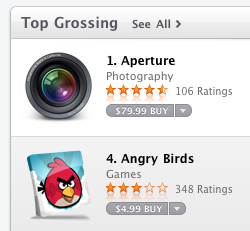 This approach might be working, because Aperture ranks as the top-grossing App Store title. That could be because of its relative high price tag compared with the rest of the Mac App Store titles. Searchability, discoverability – if only the App Store had try-ability, it would be perfect. I wonder where we, in the Newton community, would be if it weren’t for sites like UNNA, where all the available Newton software that ever existed is in one convenient spot. Imagine if we had to hunt all around to find that one app that we want to try. It used to be that way, with some Newton apps sold retail style, in boxes on store shelves, while other titles were available only as online downloads. Today, however, Newton sites are disappearing. Thank goodness for one, centralized hub like UNNA. What would’ve happened if the Newton, back in the day, had it’s own app store? If we could have accessed Toolkit and DataRescue from one central location, and have the ability to try out apps for fun (something, admittedly, Apple’s own App Store doesn’t even allow)? It’s a fun thought experiment. There are repositories like this for classic Mac software as well. 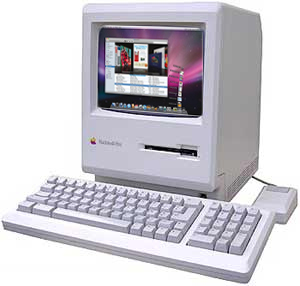 I browse the Macintosh Garden on a regular basis for fun, pre-OS X apps. We should hope that someone is doing this for OS X apps as well. I think the whole idea of a well-run, successful app store will be one of Apple’s great legacies. You could extend that to stores in general, based on how well the company runs its retail and iTunes stores. Making things easy to buy, and easy to try (like iMacs at the mall, or song previews on iTunes) is a win-win for the customer and for Apple. Posted by davelawrence8 at 6:51 am on January 10th, 2011. No comments... » Categories: itunes, macs, newton, software. Tags: itunes, mac app store, macintosh, newton, software. Subscribe via RSS. The United Network of Newton Archives, or UNNA, is looking at clearing the cobwebs and hosting new Newton-related software after long last. Morgan Aldridge, UNNA wrangler since 2007, gave the above hint on Twitter – a sneak peek at the Recent Additions page. It shows the latest 25 uploads to UNNA through a moderated database, says Morgan. The previous UNNA moderator, Victor Rehorst, stopped taking new UNNA submissions in 2004, and then handed off UNNA’s hosting to Morgan. Finally, he says, he’s getting around to adding new stuff to the archive. Between some detective work, trying to figure out how Victor managed all the data, and some version control issues, Morgan plunked away at the project a few hours at a time. Now the Recent Additions page is his way of testing out the uploading and moderating tools. UNNA has preserved Newton sites along the way. The idea is to keep the Newton software and sites in a downloadable vault to keep it from vanishing. As I’ve found, more and more Newton sites are disappearing. The same can be said for software: companies go out of business, people move (or die), computers crash. Morgan says he doesn’t get a whole lot of submissions these days, but new entries trickle in every few months. Mostly, he says, Newton users have expressed “discomfort with the state of UNNA.” So he’s going to start fixing that. One of the first new entries: Brian Parker of Sealie Computing is submitting full versions of his NewtChat, NewtGlider, and MathFaster packages, and mirrors of the web pages. “He’s still looking to see if he has the NewtGlider source code and such, but I’m already happy to have this work preserved,” Morgan said. UNNA is an indispensable resource for any Newton user. I find packages in the archives that I try out just for fun, and Newton Poetry has only been possible through a lot of that old software. It’s great to hear we’ll be getting some new stuff up and available for download. Posted by davelawrence8 at 6:21 am on August 27th, 2010. One comment... » Categories: newton, software. Tags: archives, messagepad, morgan aldridge, newton, software, UNNA. Subscribe via RSS. They’re the original Newton Undo/Redo buttons. Sprang wanted to pay homage to the Newton, so he used the icons in his now-famous app. As you can see from the above still frame, the Newton icons remain in the new iPad version of Brushes (in the keynote, you can see them at the 42:30 mark). Sprang developed apps for the Newton, too, back in the day – including Lathe, a popular 3D modeler. It’s been gratifying to see Sprang’s success with his Brushes app, and great to see he still uses those Newton icons from way back when. Posted by davelawrence8 at 6:20 am on February 11th, 2010. 3 comments... » Categories: ipad, software. Tags: app, brushes, icons, ipad, iphone, newton, redo, software, steve sprang, undo. Subscribe via RSS. Andy Galluzzi, developer of Newton Connection Tools for Windows, is now giving the full $45 registration cost of his software to support the United Network of Newton Archives (UNNA). The first time you connect, the software will disconnect immediately and you will see the newton information screen. Here you have to export your newton information data (a file nwi will be created) and send me that file . Morgan (administrator of UNNA) gonna tell me who has donated money, and with your newton information data and Morgan confirmation of the donation, I will send you the license code. A bit complicated, but at least it’s in support of a site we all need and rely on. Newton Connection Tools is much like NCX, but for Windows, allowing for Outlook syncs, package installation, and backups. Newton users with Macs have a few options to sync their MessagePads with their computer, everything from Apple’s original Newton Connection to NCX, Escale, and more. Windows users, from what I understand, have fewer options with their Newtons – especially with the newer versions of Windows. There doesn’t seem to be a bit support base, at least developer-wise, on Windows – as opposed to the Mac, where enthusiasts are everywhere. Taking all that into consideration, Galluzzi’s efforts are even more appreciated. Posted by davelawrence8 at 7:41 am on December 14th, 2009. No comments... » Categories: community, newton, software. Tags: newton, newton connection tools, newtontalk, outlook, software, sync, windows. Subscribe via RSS. - Prince McLean at RoughlyDrafted Magazine. The early days of the Newton featured this boxed-software model, but as the Internet came of age Newton users could find apps online. Now sites like UNNA.org (and sometimes eBay) are the only places to find available apps for the Newton. These days, if you want something for your MessagePad or eMate, you’ve got to hunt for it. Posted by davelawrence8 at 5:40 am on October 27th, 2009. No comments... » Categories: software. Tags: apps, eMate, iphone, messagepad, newton, software, UNNA. Subscribe via RSS. 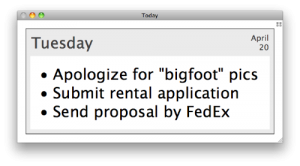 Maybe I should have waited to download a chess game for my eMate. Daring Fireball author John Gruber says the Newton’s “best chess game,” Joachim Bondo’s Deep Green, will be available for the iPhone. “Deep Green is the one indie Newton app that I was most hoping would make the jump to the iPhone,” Gruber says. Deep Green for the Newton is still available and is freeware, which is why I wish I would’ve waited to pick my chess game. But I can still give it a try. It’s nice to see Newton apps making it over, after a spit and polish, to the iPhone. Catamount’s PocketMoney is the one Newton app that I’ve tried on my iPhone, and I use it everyday. Learn more about the iPhone Deep Green here. Posted by davelawrence8 at 5:13 am on December 11th, 2008. No comments... » Categories: software. Tags: checkmate, chess, daring fireball, deep green, game, gruber, iphone, newton, pocketmoney, port, software. Subscribe via RSS. Mac OS X Carbon vs. Cocoa – what’s the story? Saw this rumor (a few times, actually) over at Webmonkey: a Cocoa OS X Finder may be on its way, starting with Snow Leopard. But wait. Isn’t the Finder an all-OS X beast? That got me wondering what, exactly, is the difference between the Cocoa and Carbon development environments. I’m not programmer, so I needed a low-brow explanation. Just before Apple launched OS X, Macworld had this article describing the basic differences between the two. I like to reference the original Mac OS X introduction video, by Mr. steve Jobs, as a primer, too. He goes into detail about the different levels (kernel, Carbon/Cocoa, OpenGL, etc. ), which helps. My basic understanding: Carbon is for applications that need to reference the old, OS 9 way of doing things while operating in OS X. Cocoa is an all-OS X environment, and lets developers use stuff like Core Audio and Core Animation. Even at Apple, the two platforms have their place. Mail is a Cocoa app. iTunes is a Carbon app – a hold-over from OS 9. PhotoShop, as it stands now, is a Carbon application. Again, in terms of development, it’s an OS 8/9 relic. But that may be changing. Adobe has already produced a Cocoa-based app in Lightroom, so hope springs eternal. Now, 32 bit versus 64 bit? That’s a whole ‘nother ball of wax. Posted by davelawrence8 at 7:37 am on October 30th, 2008. No comments... » Categories: software. Tags: adobe, apple, carbon, cocoa, finder, mac, macintosh, OS X, photoshop, snow leopard, software. Subscribe via RSS. You download the .pkg file at his site, sync it to your Newton, and your calendar will have U.S. and 10 other countries’ holiday dates for next year. I added it to my eMate and it works great – just open it up, select whichever country or set of holidays you want to addd, and presto, it’s done. You can download other fun Newton software projects from “Papa Duck’s” homepage. Posted by davelawrence8 at 6:26 am on October 29th, 2008. No comments... » Categories: newton, software. Tags: apple, calendar, download, holiday, holidays, matt howe, messagepad, newton, software, sync. Subscribe via RSS. By some accounts, businesses are snatching up Macs more and more these days. 9 to 5 Mac says the use is quadrupling, while some say the increase isn’t so great. But for the subject to even be noticed, something has to happen. 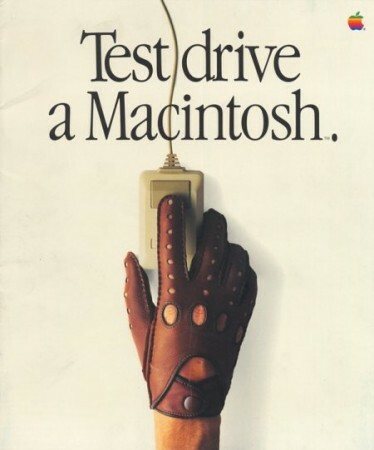 Apple tried this years ago. The Apple III was meant to be a business model PC. So was the Lisa. But their cost or glitches, combined with IBM’s early dominance, relegated Apples to the “creative” and education markets. Hippies love Macs. Suit-and-tie professionals? Not so much. At least that was the perception. 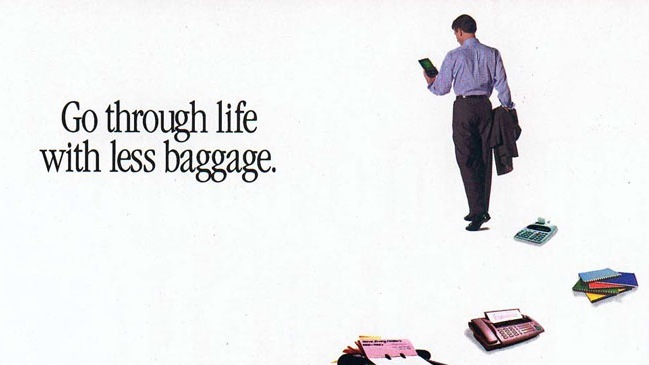 Then Apple created a tool that was tailor-made for business: the Newton Messagepad. Posted by davelawrence8 at 5:05 am on October 27th, 2008. No comments... » Categories: ipod/iphone, messagepad, newton, newton history. Tags: apple, business, enterprise, iphone, iphone SDK, ipod, marketing, message pad, newton, PDA, software. Subscribe via RSS.